The worst is yet to come, or so it seems when the season 1 finale of ABC’s political thriller series “Designated Survivor” aired last week. 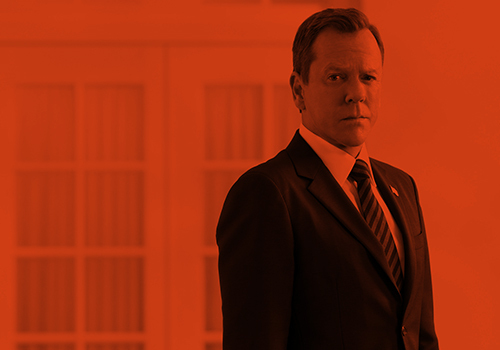 What new conspiracies will President Kirkman (Kiefer Sutherland) and FBI Agent Wells (Maggie Q) be battling against in the forthcoming second season? In season 1’s final episode, an email from Atwood (Malik Yoba) finally led to the unmasking and consequent capture of the White House mole, Whitaker (Richard Waugh), along with more than 200 of his co-conspirators across the country. This victory, however, was very quickly dampened by the fact that Lloyd (Terry Serpico) was still at large and even has gained access to the Pentagon’s most highly classified server. This development does not only set the stage for the second season’s potential main antagonist, but it also brings to light the fact that there really is more to the conspiracy than what meets the eye. What were Whitaker, Lloyd and Lozano really planning to do? Were they at the topmost part of the villainous tier or had they merely been acting on orders from a more powerful source? Aside from the brewing conspiracy, President Kirkman will also have to struggle through and eventually rise above more challenges and oppositions to his presidency. According to TV Line, during ABC’s Upfronts presentation last week, Sutherland shared that season 2 will see the addition of “no less than three principal characters” to help further flesh out the complexities of running the White House. “Designated Survivor” will be holding out the same Wednesday time slot of 10 p.m. ET when it returns later this year. Channing Dungey, president of ABC Entertainment Group, shared in a statement about ABC’s 2017–2018 programming that she’s been “incredibly proud” of the series’ storytelling. Moreover, season 2 will also be ushering in the series’ fourth showrunner in former “The Good Wife” executive producer Keith Eisner. This entry was posted by Courtney on Monday, May 29th, 2017 at 8:03 am. It is filed under Articles, Designated Survivor. You can follow any responses to this entry through the Comments Feed.